Patan and Mahesana, replete with architectural excellence, represent the height of Gujarat's cultural achievements during the Golden Period of Solanki rule. Patan is home to the Ranki Vav, Patola weavers and the Bohra havelis at Siddhpur. Mahesana has the famous Sun Temple at Modhera and the torans of Vadnagar. 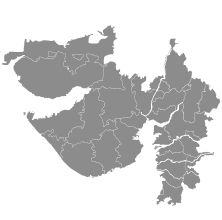 Banaskantha, at the northeastern periphery of Gujarat, is characterized by undulating hills and forests from the Aravali Range. It is a mosaic that brings together elements of all the surrounding areas—rich tribal culture, pilgrimage destinations, wildlife and a Nawabi heritage. Famous for its toran, the town of Vadnagar predates history and is a living museum of ancient architecture and beautiful relics. Walk around the majestic Surya Temple of Modhera, one of the most magnificent Sun temples in India. The quintessential medieval town of Patan boasts of an extensive fort wall, a millennium-old stepwell, Solanki monuments from its days as the former capital of Gujarat and fabulous Patola weavers.